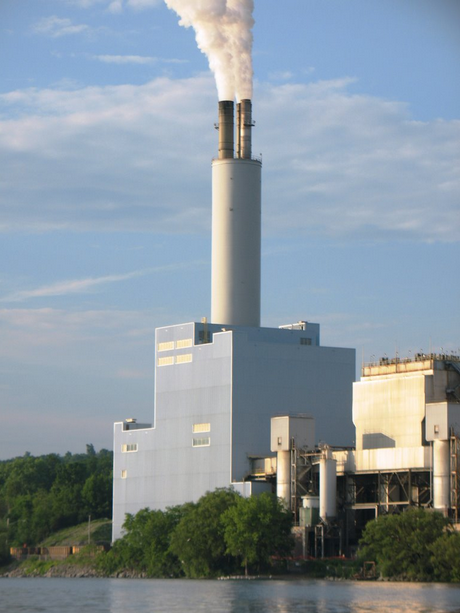 With natural gas prices undercutting the cost of coal, the AES Cayuga power plant in Lansing has not produced electricity since early March. This year, natural gas prices have dropped to lows unseen since 2002, and coal power plants around the state and country haven't been able to sell their power. "Right now, with prices where they are, we're not economically viable," AES Cayuga Plant Manager Jerry Goodenough said. The price of natural gas would need to nearly double for the plant to regain economic viability, according to Goodenough. "If gas is trading at $1.90 or $2 per million BTU, and coal is trading at $4 per million BTU, a coal plant would need to get enough from its energy bid to recover for a $4 price, and gas is only $2," he said. You can see that indeed this coal is not currently competitive with natural gas (though not as bad as the $4/mbtu that AES Cayuga apparently faces). This does make it more concrete that the shale gas revolution has an environmental upside as well as a downside. I grew up with natural gas and kind of wish I still had access to it now that I live (part time, anyhow) in a deeply rural area. That said, given that so much of our electrical generation is going over to gas, that vehicle fleets are moving towards nat. gas, that over half the homes in the US use gas for heating, with oil-to-gas conversions greatly increasing in parts of the country that have traditionally used heating oil (New England), combined with our reliance on gas for making nitrogen fertilizer via Haber-Bosch, more of our lives are now dependent on cheap, available natural gas then ever before. It just bothers me when we are so dependent on one resource, though I grant you, it's much better than the coal dependency this country had a generation or two ago. 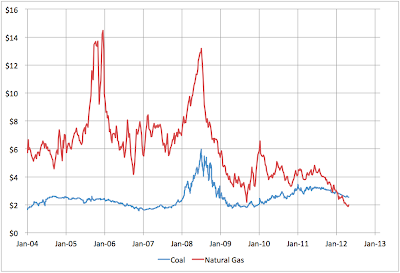 Another thought - I wonder how close low natural gas generation prices are coming to idling nuclear plants? Nukes are much harder and time consuming to ramp up and shut down, though. 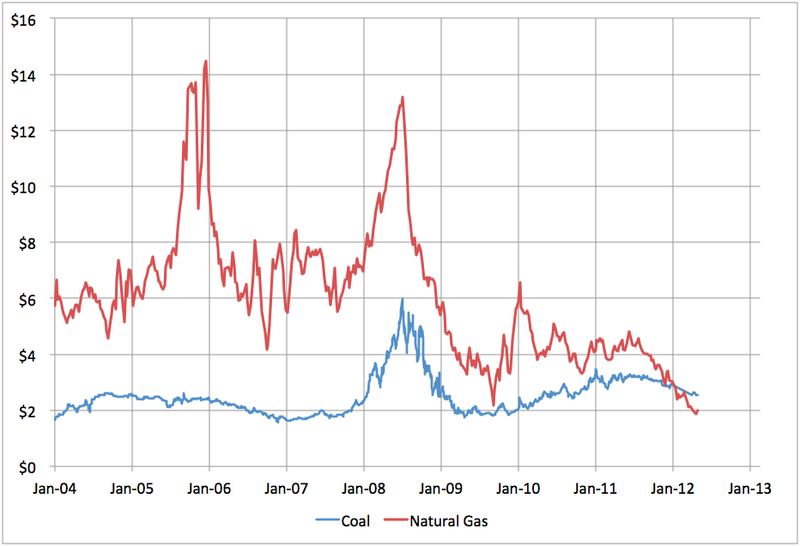 > This does make it more concrete that the shale gas revolution has an environmental upside as well as a downside. Is this true? Maybe in terms of particulates, but not in GHG terms. > Extracting natural gas from the Marcellus Shale could do more to aggravate global warming than mining coal, according to a Cornell study published in the May issue of Climatic Change Letters (105:5). > While natural gas has been touted as a clean-burning fuel that produces less carbon dioxide than coal, ecologist Robert Howarth warns that we should be more concerned about methane leaking into the atmosphere during hydraulic fracturing. But maybe the USA will just export their surplus coal for a net neutral or negative effect on CO2?